To ensure your vehicle is in perfect condition, Nissan recommends that you bring your car for a Free Periodic Maintenance at 1,000 km. This proves our confidence in our Vehicles and the Superior Quality and reliability of all our cars. But considering your own driving habits, local conditions which are harsh considering the Weather, Heat and the frequent High Speed Braking in the region, you should take your Nissan for a Check Up in accorance to the "Periodic Maintenence Schedule" in the Owner's Manual. 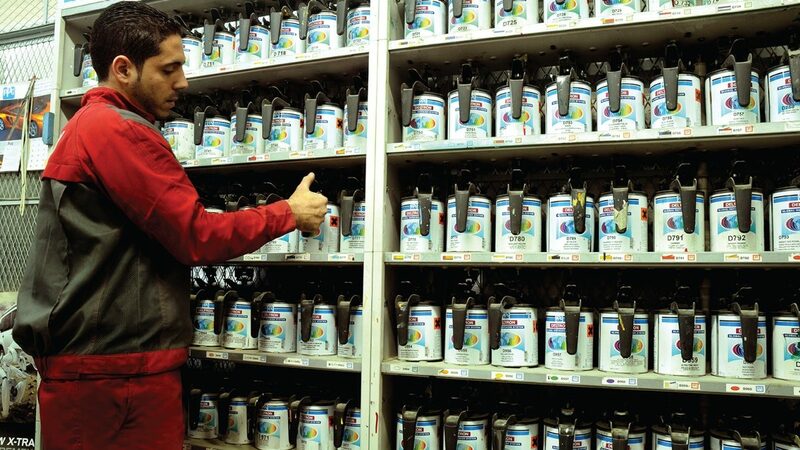 Nissan Body & Paint Center treats the needs of each individual customer with paramount concern. We know that you have high expectations and we enjoy the challenge of meeting and exceeding those standards. 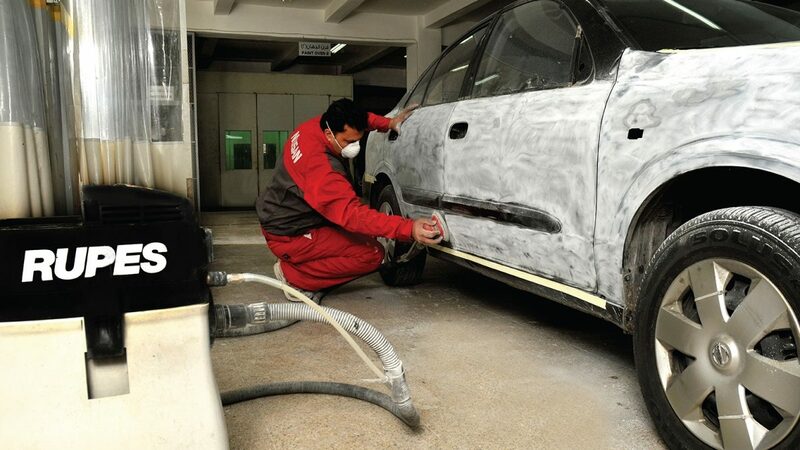 - Leading international training organizations for the collision repair industry. 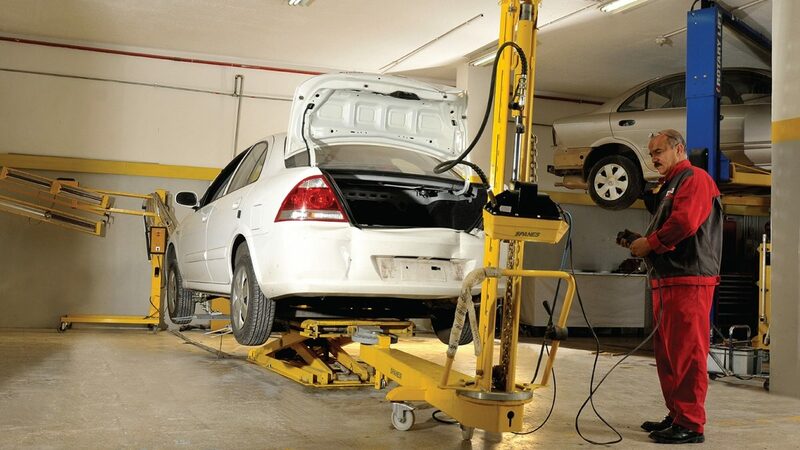 This is the place with the highest-Tec equipment in Jordan for the repair of any damage. Our team of highly trained technicians and mechanics are professionals that handle a variety of makes and models. We maintain a state of the art Body and Paint Center with some of the attest in technological advancements in the industry, from intricate welding equipment to computerized frame and structural repairs programs. · Computerized photo-based measuring system is the fastest and most accurate system on the market today to measure the alignment of body and chassis structure. · Frame straightening system ensure the best possible frame straightening along with factory quality spot welds and verifies the vehicle’s structure is correctly aligned. · Inverter spot welder: provide quality spot welds with all new high-strength steels and welding processes. · Mini Bench: repairs minor chassis and body accidents with 0% error, this process monitored through the computerized photo-based measuring system. · Spray Booth/ Oven: The drying process is used to cure coatings and to turn the paint finish into a perfect surface. Delivers appropriate systems for each stage along the painting line: for gelling, intermediate drying and drying processes. 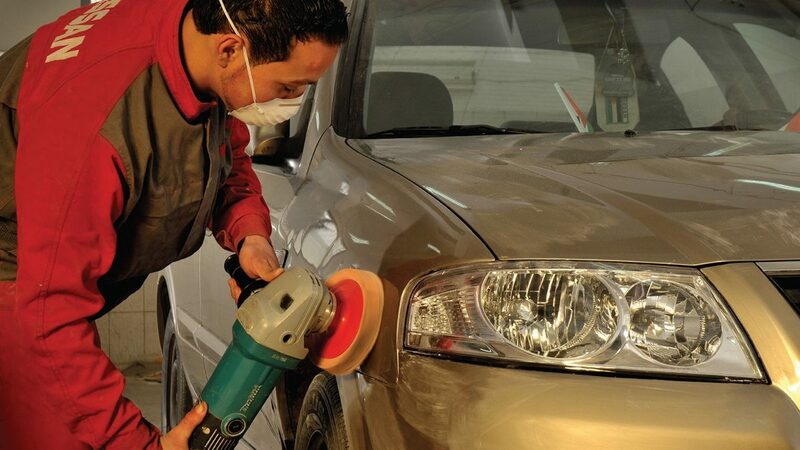 At Nissan Body & Paint Center we only use the highest quality British - Italian paint and painting materials and high-tech color matching technology. With access to the global color-matching database and color matching tools, Nissan Body & Paint Center can get the right color for every car. Supported by the highest quality painting materials & technology. We offer a 1 year warranty of paint repairs protecting our customers against cracking, hazing, chalking, fading or peeling. Manufactured under the highest quality and safety standards, and by introducing the latest in paint job, the Waterborne paint stands as the ideal choice in the automotive industry. Waterborne paint is less toxic, thus reduces the emission of Volatile Organic Compounds (VOCs), which improves air quality and diminishes any potentially inflicted health risks. repairs are other areas where Nissan Body & Paint Center excels. handling and appearance will be restored to pre-accident condition. the hood, fenders, grill and bumpers are true to factory specifications. Finally, a clear coat is applied to ensure the gloss and texture of the repaired area is identical in every way to the original finish. Your vehicle is ready to be back on the road with its owner: Be Safe!